Charisma Hydro Cotton Luxury White Towel Set. With Spot Stop Colour Protection. 2 Wash Clothes 33 x 33cms. NEW 3 PIECES LUXURY IVORY TOWELS SET FROM CHARISMA. PRICE INCLUDES UP TO 3 INITIALS ON EACH TOWEL, IN THE STYLE AND THREAD COLOR OF YOUR CHOICE. IF YOU DO NOT SEE THE THREAD COLOR YOU WOULD LIKE, SIMPLY DESCRIBE IT: EVERY COLOR IS AVAILABLE. 1 Washcloth. Under no circumstances would we ask you to wire money—beware of scams. With Spot Stop Color Protection. Avoid using abbreviations and acronyms whenever possible. Material: 100% Hygro Cotton. OEKO - TEX® Made in Green MIKN8UFF0. 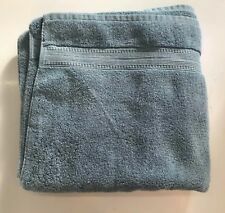 NWOT Charisma 2 Hand Towels and 2 Wash Cloth Luxury Towel Set - PORT. Soft and thick; Blooms after washing, Extra absorbent. 100% Cotton. Under no circumstances would we ask you to wire money—beware of scams. NEW 3 PIECES LUXURY BLUE SHADOW TOWELS SET FROM CHARISMA. PRICE INCLUDES UP TO 3 INITIALS ON EACH TOWEL, IN THE STYLE AND THREAD COLOR OF YOUR CHOICE. IF YOU DO NOT SEE THE THREAD COLOR YOU WOULD LIKE, SIMPLY DESCRIBE IT: EVERY COLOR IS AVAILABLE. 2 Washcloths. Under no circumstances would we ask you to wire money—beware of scams. Wash Cloths - 13" x 13". Hand Towel - 16" x 30". We are not responsible for assumptions. Flat rate to continental U.S.
Exceptionally absorbent and stays soft wash after wash. Ribbed texture adds spa-like touch to your drying experience. 2 Charisma Bath Towels 30in x 58in (76cm x 147cm) plus 4 Grandeur Wash Cloth 13in x 13 in (33cm x 33cm), White. BEIGE TONE. MADE IN USA. You will receive quantity of 1 (One) - New Charisma 1 Luxury Hand Towels & 2 Wash Cloths Set Grey Hygro Cotton. We list each item carefully and will note any defects if applicable. PRICE INCLUDES UP TO 3 INITIALS ON EACH TOWEL, IN THE STYLE AND THREAD COLOR OF YOUR CHOICE. IF YOU DO NOT SEE THE THREAD COLOR YOU WOULD LIKE, SIMPLY DESCRIBE IT: EVERY COLOR IS AVAILABLE. MADE IN INDIA, SET INCLUDES 1 OS BATH TOWEL (30 58), 1 HAND TOWEL (16 30) AND 1 WASHCLOTH (12 12). Ring spun staple cotton washcloth. Features a long lasting durability. This is a new set of Charisma Luxury towels, 2 hand towels and 2 wash cloths, NEW. They are a maroon/dark burgundy color. HAND TOWELS 16" X 28" (40 cm X 71 cm). Avoid using abbreviations and acronyms whenever possible. WASH CLOTHS 13" X 13" (33cm X 33cm). Material: 100% Hygro Cotton. There's no better feeling than stepping out of a long hot shower and wrapping yourself in this plush embrace. With these luxurious Charisma Soft 100% Hygrocotton® towels, you will experience an impressive absorbency assured by the patented hollow core cotton technology.